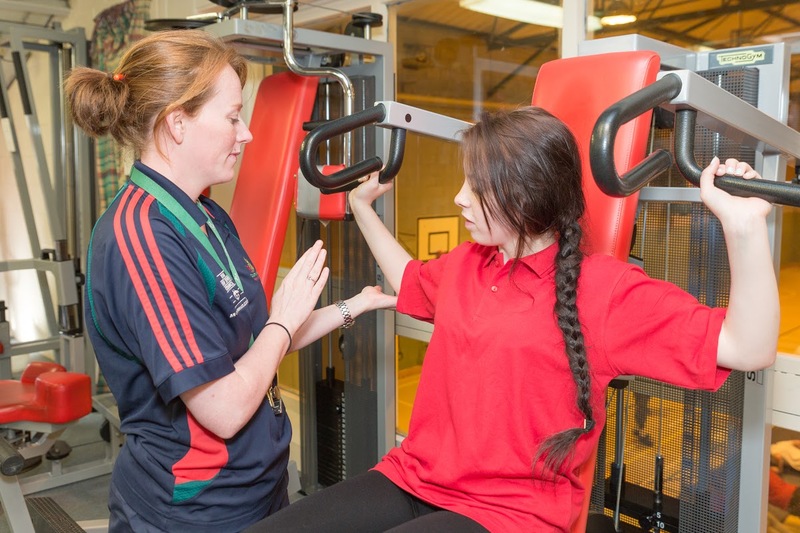 Provide the opportunity for students to develop personally, socially and physically through participation in a broad variety of physical activities. Encourage an appreciation of physical activity and the benefits of an active lifestyle. Reinforce and further develop the Physical Education knowledge, understanding, skills and competences acquired at post-primary level. A positive sense of self and a level of competence in the performance of a range of activities. An understanding of the principles, rule and purpose of different categories of activity. An appreciation of the value of participation in selected physical activities as a lifelong endeavour. An understanding of the principles of fairness and tolerance in interaction with others. 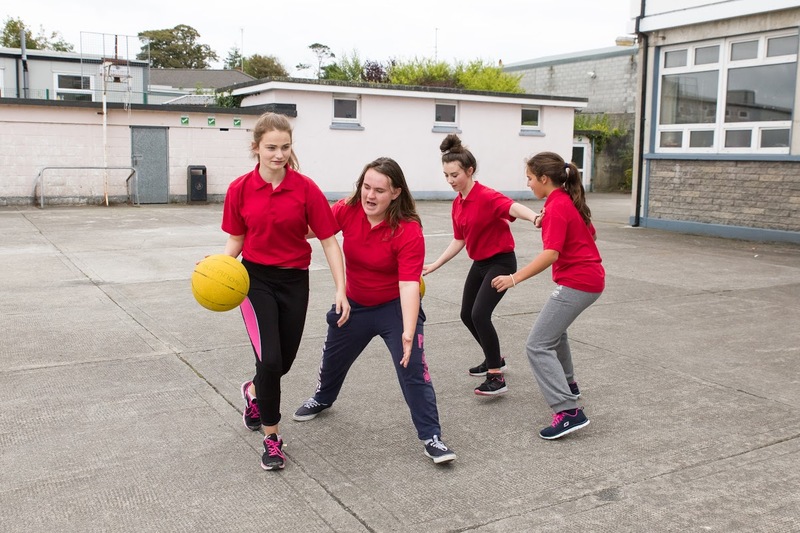 Here at Coláiste na Ríochta students are encouraged to develop a healthy and active lifestyle. Exercise is an integral part of everyone’s lives. We acknowledge that whilst some students may enjoy the element of competition that comes from being part of a team, some students simply wish to take part for fun and fitness. The school provide a variety of sporting and physical activities for boys and girls both competitive and recreational. Sports include: Basketball, Spikeball, Tag Rugby, Futsal, Athletics, Orienteering, and Adventure activities. We are fortunate to be adjacent to the Listowel Town Park and to avail of the Listowel Community Centre facilities for our Physical Education classes and extra circular events. 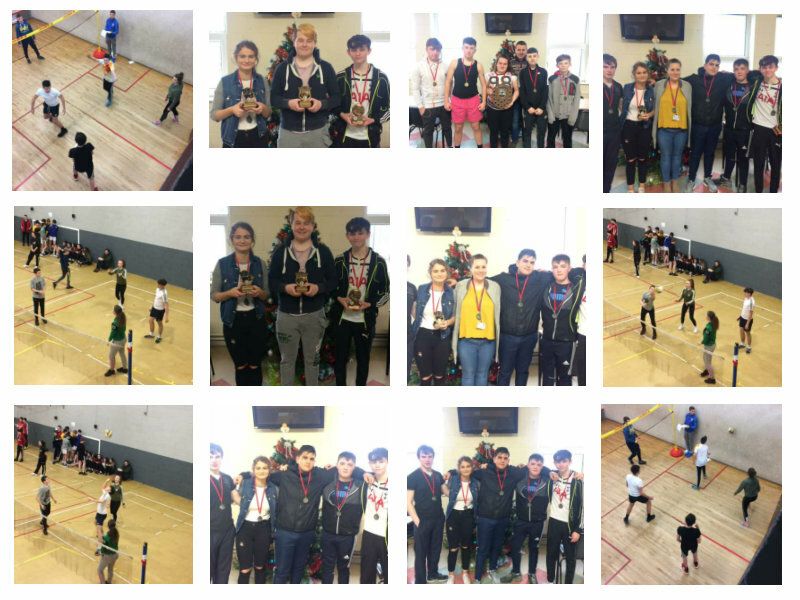 On Thursday the 18th of January, Colaiste Na Riochta made their way down to the Sports Complex in Tralee to take part in a Spikeball Tournament with over 40 other teams. Teams were split into groups and competed to finish top of their group. Both teams (Listowel Striker and Listowel Falcons) started off with victories but soon came up against tough opposition. The combination of experience from the 5th years and the enthusiasm from the 2nd years served them well in the remainder of the matches with both teams recording numerous victories. Both teams were fantastic throughout, not giving up and fighting for every last point. Listowel Strikers finished joint second in their group beating Kerry Smashers, Kerry Stars and KDYS Giants. Listowel Falcons also finished joint second by beating Castleisland Devils and Kerry Cougars. We have had 2 games over the last 2 weeks playing Killarney Community College and Castleisland Community College. In both games we have suffered heavy defeats but the girls have acquitted themselves very well, trying really hard and have shown great spirit, drive and fight to continue trying even though they have up against really strong teams (the others schools teams would mainly be made up of all senior cycle players who all play club football and some Kerry Under 16 and minor players). All players have been exceptional, with Diane, Tara, Katelyn and Edel showing great leadership qualities. When we think of wellbeing and the wellbeing indicators, for our girls being part of a schools sport team helps them to hit many of these indicators. The girls are proud to be involved and of their achievements on the pitch. It’s been a busy term on the soccer pitch, football field and the basketball court. We have had teams compete in Soccer, football, futsal and Basketball preforming very well in all codes. 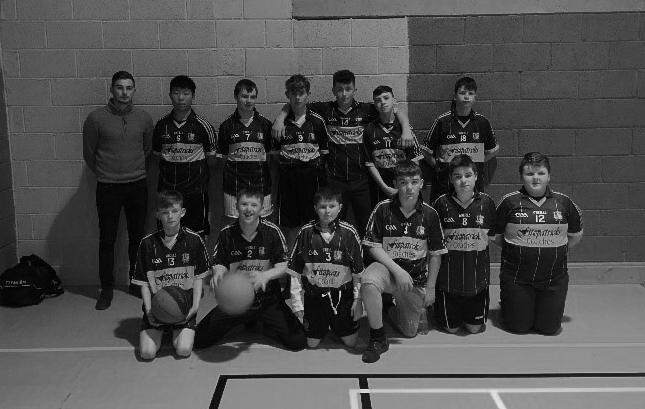 Our boys have played soccer and basketball gaining some good results in both and our junior boys had their first basketball game earlier in November, giving our 1st years their first chance to put on the Colaiste Na Riochta Jersey. All players taking part have put in a great effort and have worn their school colours with distinction. Senior Boys Basketball defeated Colaise Gleann Li, 36-14 and were defeated by Tarbert Comp 36-20. – Our girls football team have put in a great effort over the past 2 months playing 3 games in very challenging conditions. We defeated Colaiste Gleann Li but have suffered losses to Killarney CC and Castleisland CC who both had strong teams. Our girls spirit and effort has been fantastic with great numbers at training and games. Thanks to Suzanne Lynch for her help with preparing the team. 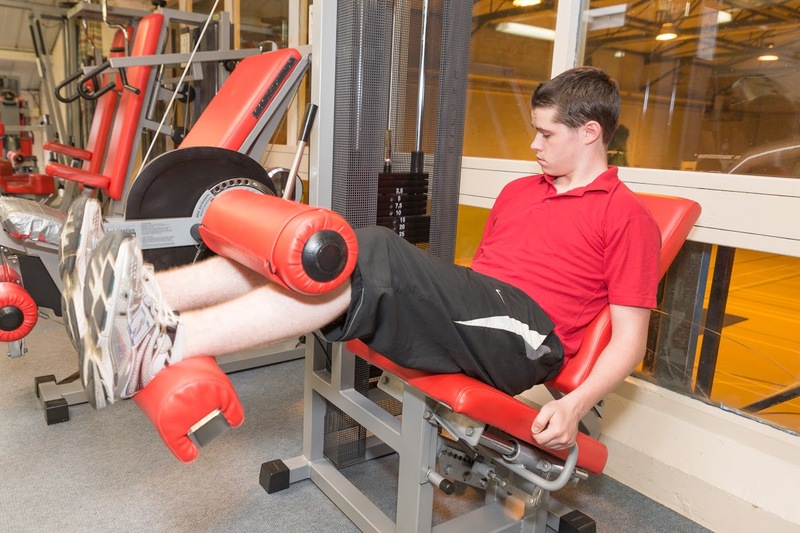 In partnership with Listowel Community Centre and North Kerry Development Partnership, many of our students can avail of gym membership for the academic year. Students must fulfil certain criteria to be offered this programme. This is the first year of this partnership and is due to commence before the Christmas Holidays. 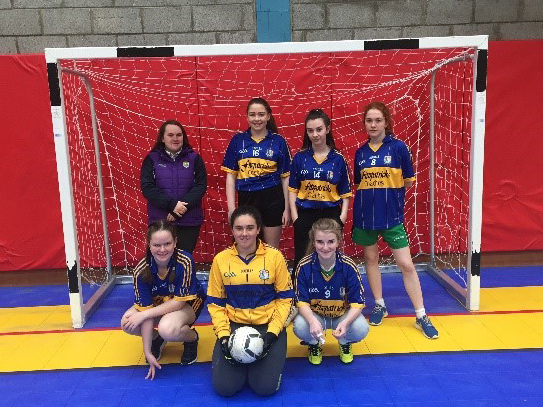 Coláiste na Ríochta took on our neighbours and seasoned players from Presentation Listowel. This was the first competitive outing for U 16 girls in the very competitive Basketball Ireland “C” League. It was a battle from the start with the Presentation going ahead in the first quarter but the Coláiste na Ríochta girls dug deep and clawed back the score line to within 4 baskets. Ms Nelligan and Ms Moynihan were very impressed with the girls. They kept the fouls to a minimum and worked really hard for each other. We travelled to Kanturk to face Coláiste Theresa. A very tight and experienced outfit, here the school team play together outside with Kanturk basketball club. Our game was delayed as the Kanturk ladies had a Cup game prior to ours and their opposition was late arriving. This didn’t work in Coláiste na Ríochta’s favour, as the Kanturk girls were extremely fit and were able to step it up a gear. Nevertheless Coláiste na Ríochta battled hard and showed progress as the game went on. They are showing great ability to improve passing, moving into space and taking on scores more willingly. A very competitive encounter, teachers were outnumbered from the start so Katelyn Flynn kindly joined us. With Mr O’Sullivan referring students got onto the score sheet first. It took the teachers a while to get into our stride but the 3rd and 4th quarters were score for score. Teachers were able to step up a gear and seal the deal in 4th quarter. Students were extremely competitive and you could clearly see their progress from their previous games. Killarney travelled over to Listowel. The girls were looking forward to this game against their former PE Teacher Luke Mulligan. Killarney had a strong team with a lot of seasoned club players which was reflected in the score. Nevertheless Coláiste na Ríochta girls battled on working on getting into space and moving to the ball. Newcomer Molly McElligot showing great determination throughout, Coláiste na Ríochta team did well as we were missing some of our team due to illness and other pre-planned school events. Killorglin agreed to come to Listowel for this game, as they were unable to secure a hall for the fixture, Killorglin began their extra - curricular programme 3 years ago with the benefits paying off this year. They are going from strength to strength. 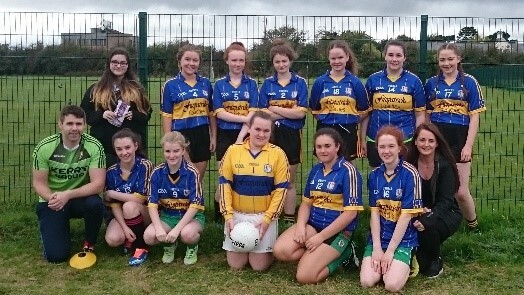 They had a lot of footballers on their team with their fitness and skill outclassing the Coláiste na Ríochta ladies. Coláiste na Ríochta continued on to finish strong stopping Killorglin from scoring anything in the last quarter. We travelled down to Dingle to Coláiste Íde on a wet miserable Thursday. The girls were tired after the journey but we arrived in time to see Killorglin fight hard against an extremely cohesive Coláiste Íde side. Keeping with tradition Coláiste na Ríochta were slow to start but with continuous subbing and moving to man to man defence they scored majority of our baskets in the final quarter. By far the best quarter that Coláiste na Ríochta have played to date scoring 12 points with Rebecca Bambury and Tia O’Connor getting in under the basket. 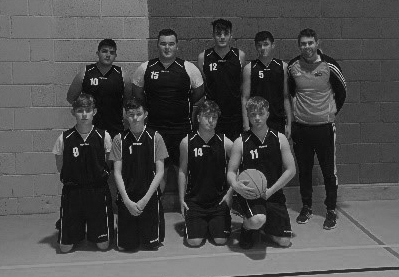 Coláiste na Ríochta travelled to hosts Killarney Community College for the “C” Boys U-16 League Basketball Blitz Arriving late Coláiste na Ríochta got stuck in straight away facing our old PE teacher Mr Luke Mulligan. We were down in the first quarter as we were up against a very tight Killarney team who were strong defencelessly with Coláiste na Ríochta relying on outside shots to get scores. We lost Conor Hope to an accidental injury in the first quarter for the remainder of the game. As players rotated Coláiste na Ríochta started working harder for each other, getting back and defending. Our inability to attack opposition resulted in a very close loss to Killarney. With a 5 minute rest we were up to take on a tall / strong Killorglin team. Coláiste na Ríochta were ahead at half time feeling very pleased with themselves. Killorglin were tactically stronger and put the game away in their favour in the 4th quarter. Nevertheless Coláiste na Ríochta learnt a lot, they were working hard, encouraging, calling for each other. Players on the bench worked just as hard as the 5 on the court always willing to come in and listen to instruction. Special mention should go to Killian Fealy who fought hard against his opposite number not letting the Killorglin man get the better of him. Testosterone was in abundance from the start with the students getting on the score sheet first. Teachers had to work hard to score with Mr Waugh getting on the score sheet first with an excellent outside shot. Indiscipline at the other end punished the teachers but the students struggled to put them away. Fresh legs by the students gave teachers a competitive edge in the 2nd quarter as they were able to claw into the students lead. Half time couldn’t come fast enough for the staff with only 1 substitute, the teachers were struggling with the fast pace. Students capitalised on this and were clearly up for the game in the 3rd and 4th quarter. With Ms Nelligan and Ms Foley rotating and calling substitutions for students, the students were able to come out on top winning by 2 baskets. A very tight and fast paced game by the teachers and staff.